We have a 24-hour, 7-day-per-week answering service. Call (480) 649-9000. All emergent calls received after hours will be responded to individual need of the patient. We accept cash, personal checks, Visa and MasterCard in our office. We offer a discounted rate for cash pay patients. If you have questions about your bill, please call your insurance about any Deductibles or Co-payment amounts. If you need to talk to the billing department please call (480)649-9000 Ext. 204 or Ext. 215. Please refer to our Insurance and Payment Policies. Medical Records can be obtained by signing a release of records form. A fee will be charged to an outside agency other than a medical provider. Medical providers requesting your health care information will be provided to free of charge. If the patient is requesting a copy of their own records for personal use they must sign a medical release and give us a 24 hour notice to prepare the records. The patient must be the person picking up the records. The only way someone else can pick up your personal records is if we have a power of attorney on file. 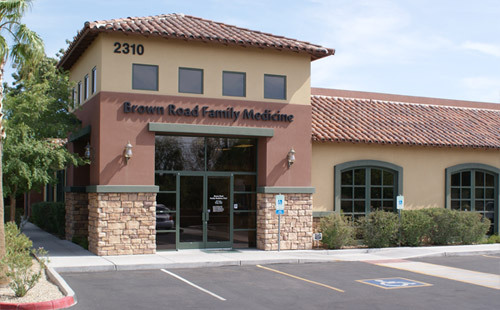 Please call our Medical Records department at (480)649-9000, Ext. 205 for further information.